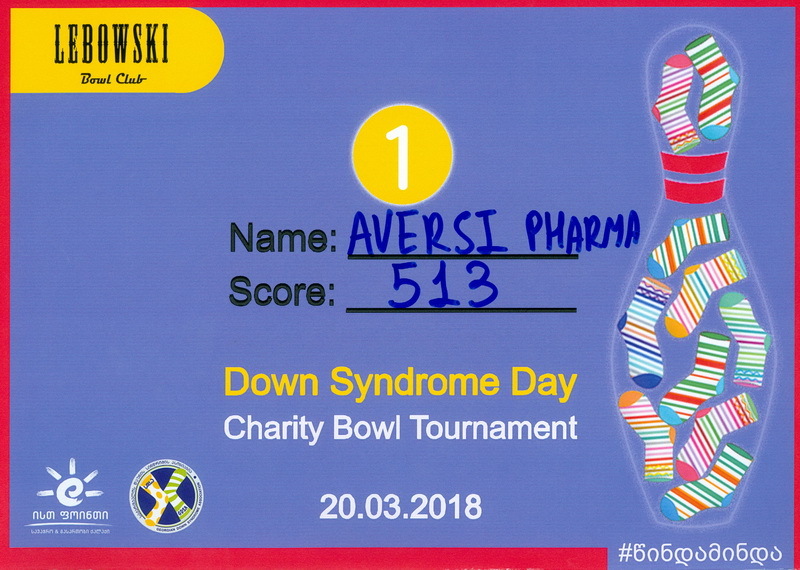 Employees of "Aversi-Pharma" expressed support to people with Down syndrome. Part of the staff took part in the bowling tournament held by the Down syndrome Association. "Aversi" team took the first place. Prize - 500 GEL – was transferred to the account of the Association. "Aversi" also made a transfer to the Association of Down syndrome from its own account. The company also purchased socks from the social enterprise "Babale" in the framework of the campaign. Down Syndrome Day is celebrated by every State and International Organization since 2012. Increasing public awareness about Down syndrome is the main goal of the campaigns carried out around the globe every March 21.